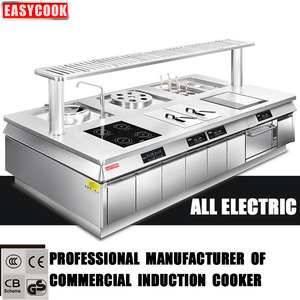 Shenzhen Easycook Technology Co., Ltd.
Guangzhou Topkitch Kitchen Equipment Co., Ltd.
Guangdong WOYA Electrical Appliance Co., Ltd.
Huizhou Huaruicheng Industry Company Ltd.
We believe in delivering a customer experience worth talking about. 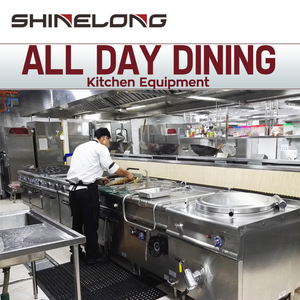 We offer the best in class equipment and service for any food service business. If you have any inquiry ,please do not hesitate to send email to us. 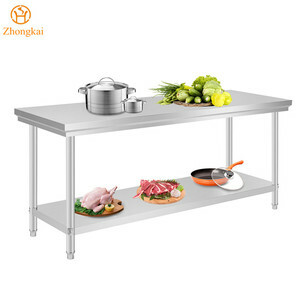 2018 Commercial Heavy Duty kitchen cooking equipment fast food restaurant equipment 1. Independent tiered structure, easy for transportation and installation. 2. 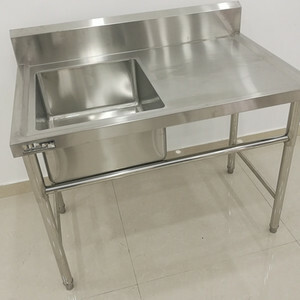 First-rate stainless steel is used in the front to make it durable and non-deforming in high temperature as well as good in appearance 3.Fashion design,generous appearance,make the cleaning more simple and more convenient. 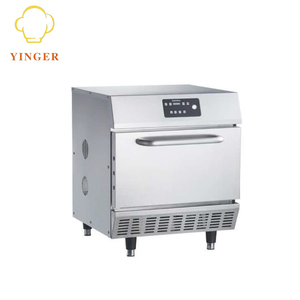 our products including western kitchen equipment series and refrigeration series, for instance, ice maker, ice cream machine, dish washer, popcorn machine , coffee machine, fruit juicer , oven, buffet stove, display warmer,and so on. The totally area is more than 18000m2 and have 8 Independent production workshops to ensure each product can produce in professional area. And our engineer and staff have more than 12 years experience in refrigeration and kitchen equipment . Our high quality products and sincere service help us win numerous domestic and foreign buyers. Guangzhou Oceangain International Trade Co., Ltd. Within the warranty period, send us the pictures for the part you need, we will solve for you. Each year, there are more than 150 containers go out from our factory to more than 50 countries. Wishing to cooperate with all customers all over the world in the up coming days. 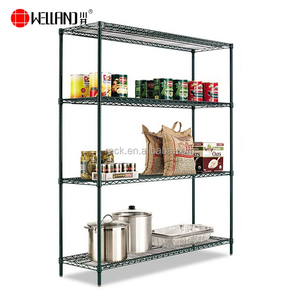 Shanghai Qianshun Metal Products Co., Ltd.
Alibaba.com offers 3,981 heavy duty kitchen equipment products. About 14% of these are other hotel & restaurant supplies, 4% are bbq grills, and 1% are wood router. 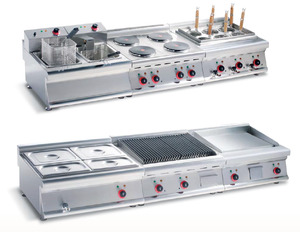 A wide variety of heavy duty kitchen equipment options are available to you, such as free samples, paid samples. 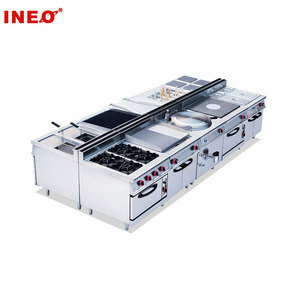 There are 3,916 heavy duty kitchen equipment suppliers, mainly located in Asia. 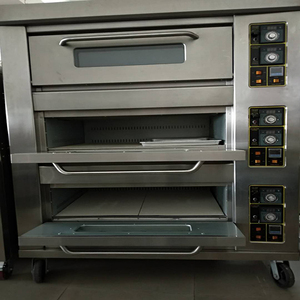 The top supplying countries are China (Mainland), United Arab Emirates, and India, which supply 99%, 1%, and 1% of heavy duty kitchen equipment respectively. 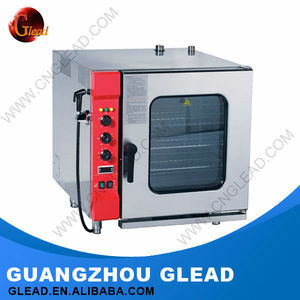 Heavy duty kitchen equipment products are most popular in Mid East, Southeast Asia, and North America. You can ensure product safety by selecting from certified suppliers, including 879 with ISO9001, 138 with Other, and 88 with BRC certification.